Tokyo (AFP) – The testes and sperm count of bulls abandoned in the evacuation zone around the battered Fukushima nuclear plant were not affected by chronic exposure to radiation, a Japanese academic study has found. The finding provides crucial data to scientists and public policy advisers on the possible impact on humans of reactor meltdowns. A team of researchers examined two bulls found in September 2011 and January 2012 within a 20-kilometre (12-mile) radius of the plant, an area that was completely evacuated because of fears to public health. They also looked at a male foetus from the area to help determine the effects of prolonged radiation exposure associated with the disaster, the world’s worst since Chernobyl in 1986. “Since the testis is a relatively radio-sensitive organ, we considered that radiation exposure would lead to changes in the morphology or the function of this organ,” the study noted. Researchers from Tohoku University and other schools found concentrations of caesium 134 and caesium 137, substances of concern because of their relatively slow rates of decay, were broadly similar in all organs, but were sharply higher in muscles. “Radioactivity concentration of caesium in the testis was about more than half of that in the skeletal muscle and the level was the same as in other organs,” it said. Examination of the bull’s sperm showed their total number and their structure and size were normal. “Adverse radiation-induced effects were not observed” following radiation exposure of up to 10 months. The researchers expect the study will shed light on the risks Fukushima’s radiation poses to reproductive health, but said the size of their sample meant further investigation would be required before any definitive conclusions could be reached. The study was published online Tuesday in Scientific Reports, a peer-reviewed journal from the publishers of the respected Nature. 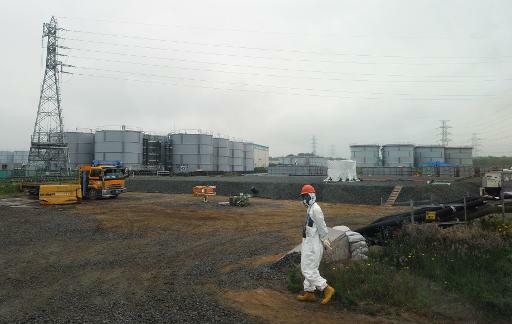 Thousands of animals were left behind when farmers and residents fled the area around the Fukushima power plant in the days after the March 2011 tsunami struck. While those that were confined in buildings invariably died, many others went feral and roamed over a large area, free from any human interference. Scientists say cattle would have received high doses of radiation by eating and drinking contaminated plants and water in large volumes. Caesium levels found in the organs of the bulls and the foetus were mostly well above the official limit for consumption, currently set at 100 becquerels per kilogramme (2.2 pounds). The researchers are conducting other studies to analyse whole genome sequences among bulls in the evacuation zone and foetuses obtained by fertilisation using sperm from bulls in the zone.